A while ago we told you about the LUCERNA database, a directory of information on the magic lantern and home to digitised copies of lantern slides held in public and private collections. The site – a joint project by Universität Trier, Screen Archive South East, the Magic Lantern Society, UK; and Indiana University, but chiefly a labour of love by media historian Richard Crangle – demonstrates the range and depth of the magic lantern, not only in terms of subjects covered (fictional and non-fictional) but in the period of time it covers. The magic lantern continued well into the twentieth century (one of the leading British film trade papers was known as the Kinematograph and Lantern Weekly up to 1919) and arguably has never gone away, going through such incarnations as the slide carousel for family photos of a couple of generations ago through to the PowerPoint presentations of today. 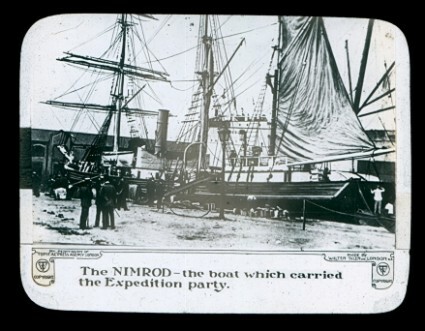 New slides continue to be added to the site, and recently a set was added which is of huge interest to this enthusiast for historical news media, because it provides evidence of something I had felt certain had to have existed somewhere but had never seen, a sort of missing link between news photography and newsreels – the topical lantern slide. The collection is Tyler’s Topical Slides, a set of lantern slides reporting on current events put out by Walter Tyler, a renowed lantern manufacturer whose business subsequently (after his death in 1909) diversified into motion picture equipment and film distribution as the Tyler Film Company. There are some 370 slides, arranged in 40 sets that date 1909-10. Each set is numbered, the highest number being series no. 87, from which it can be extraopolated that the slides were issued weekly. The number of slides ranges from 1 to 20 per set, but that is a reflection of what survives. 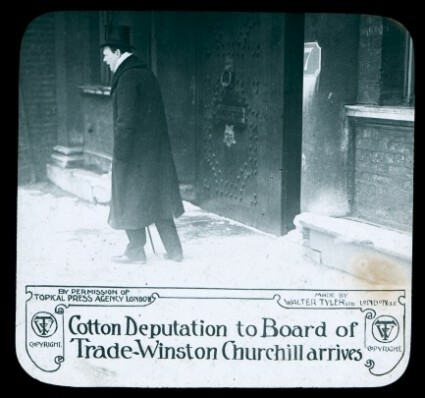 Each slides has a photograph, supplied by the Topical Press Agency, a well-known photograph agency of the period (no connection with the Topical Film Company, which produced the Topical Budget newsreel). Each has a one-line caption describing the story. They would have been shown in sequence, long enough for an audience to take in the news item before the next slide would follow. They are exactly like newsreels – before there were newsreels. The first newsreel in Britain, Pathé’s Animated Gazette, was first issued in June 1910. Newsreels had existed earlier in France, and of course films of news events were as old as film itself, but a newsreel as a collection of topical news stories gathered on a single reel was something new. What has been understood until now is that the inspiration for newsreels was photo-illustrated newspapers (such as The Daily Mirror and The Daily Sketch) which were interested in the visual impact of stories (other newspapers, such as The Times, did not carry photographs until some years later). What was not known, at least by me, was that there was another, direct precursor, the news or topical slide. 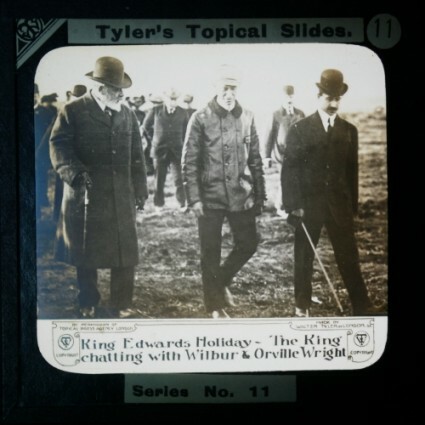 Tyler’s Topical Slides appear to have been issued from January 1909 – so a year and a half before the first newsreel was shown in Britain. They ran until at least September 1910, when the growing popularity of newsreels probably rendered them unviable commercially. We don’t know for certain, but it seems highly like that the slides were shown in cinemas, as well as variety theatres and town halls putting on mixed public entertainments (including films). In subject matter, style and adress, the topical slides are effectively identical to the first newsreels, which would open with a title and simple description of the action, followed by 30 seconds or so of film (withour further intertitles cut into the film), followed then by the next news story. The subject matter is the same as well – the popular news stories of the day, with an emphasis on personalities, especially royalty, sport, tradition and diverting incidents of the day, light-heartedly expressed with little overt political comment. In audience impact the slides would have worked in the same way as newsreels, because newsreels depended on the audience’s prior knowledge of the news story. They would have read about these topical subjects in their daily newspapers – now the weekly topical slides, or the weekly newsreel (newsreels started out weekly in the UK before becoming bi-weekly), showed them the pictures to supplement what they already knew, what had become common knowledge. The pictures completed the picture. How widely were such news or topical slides shown? Did any other company produce them apart from Tyler? It would be important to know, because either we are looking at a one-off freakish anticipation of the newsreel, or it is evidence of a significant news medium not hitherto written about in news media histories (to the best of my knowledge). The importance could lie not just in the ‘missing link’, but because it would be supporting evidence for the thesis that with the rise of the different news media at the turn of the 19th/20th centuries came a vital element of what makes up the news – consumer choice. The news does not exist in any one medium. It lies in the mind of each and everyone one of us who goes out looking for news, and finds it relayed through a variety of media, from which we pick and choose what we understand the news to be. It’s a part of what it is to be modern. Tyler’s Topical Slides show that the choice on offer in 1909-10 was that much greater than previously thought. Tyler’s Topical Slides can be found on the LUCERNA database, simply by typing in “tyler” into the search box, then by ticking the box marked “show” next to the text that reads “88 sets with title containing ‘tyler’”. Being in series order they are in chronological order, and it would not take too much research to identify dates for many of the events depicted, and from that to extrapolate on what day of the week the series was released (assuming it was always the same day of the week) and what gap there was being an event occuring and Tyler being able to include this on the slides that it distributed. How did such a business work when news subjects go so rapidly out of date? How extensive would the distribution have to have been to make it economical? How did distribution work, and how widespread was it? So many questions worth researching. If anyone knows of any other examples of topical lantern slides which were released in series form, please do get in touch. There’s more to be found out – there has to be. Nice post, and truly a missing link. You have excellently framed the Tyler work as “pre-newsreel” media archaeology, and this is as well a nice antidote to the excessive focus on sentimental romanticised lantern narratives of the 19th century. Well done. My real comment, however, is to provide a reminder that magic lantern work has always had a very topical element. In my book Laterna Magica – Magic Lantern, you will find reproduced a series of 8 images, hand-painted, from before 1699, satirizing the Catholic figures involved in revoking the Edict of Nantes (and therefore after 1685) and shipping Protestants out of France. And a hand-paianted image of the Siege of Eylau (1807) that survives in at least three copies, undoubtedly from the same unidentified historical painting source, testifies that travelling lanternists were also disseminating visual news across Europe. There are many other examples which provide a solid platform for Tyler’s venture. Thanks Deac, and good to have it confirmed from such an authority that this is a ‘missing link’. Richard Crangle showed the slides to me at the Domitor conference, and he likewise recognised their special value. 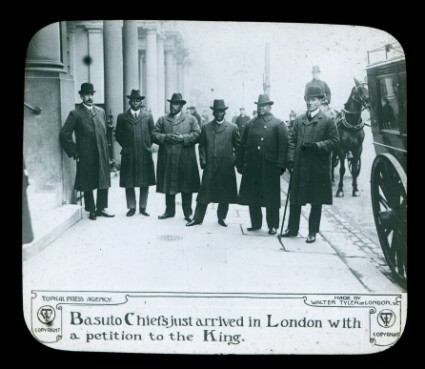 There were of course magic lantern slides of news subjects as you point out, going back to the 17th century amazingly – in more recent centuries news stories like Queen Victoria’s diamond jubilee and the San Francisco earthquake were popular lantern subjects. But the serial nature of Tyler’s Topical Slides is something else, and something requiring more research (which I think I may start doing). Agreed too that lantern history does tend towards the romantic and so overlooks the true extent of the medium – and its inter-relationships with other media. I’ve corrected several typos in the post (I think I’m going dyslexic). Hi Urbanora, you are quite right that the serial nature of Tyler’s Topical Slides is very special. And you should do the research; you have probably the best framing context already in hand from your newsreel work, and Tyler seems uncannily similar. It will be the actual use that is the most fugitive element, as it is in the early lantern history: some artifacts survive but very little record of actual performance. But this means that anything that can be scarfed up on Tyler will be all the more valuable. Best wishes. A protestant missionary by the name of John Horn visited the villages of the northern countryside of the Netherlands in 1899-1900 to show his magic lantern slides of South Africa to the farmers and tell them about the the Boer War and the hideous role of perfidious Albion. It probably was the first topical show the farmers had ever seen. The slides were not sent from the frontline, I suppose, but neither were the topical fake films of the time. Maybe the farmers had some earlier experience with visual news since they might have visited another Good News show by the magic lantern bringing the gospel. What I want to say is that our idea of visual news is different from what went on in other places in the past. That’s why I agree with Deac Rossell that magic lantern work has always had a very topical element. Tyler’s Topical Slides are a new and rich addition to this intricate history. I am very grateful to the LUCERNA database to put this online. And thanks to The Bioscope for pointing this out. I hope Urbanora will pursue his research in this topic. Thanks Luke for posting for me: I still haven’t got the hang of these passwords on the internet, but I’ve just noticed you can’t log in through an email address but have to do it via WordPress or another site account like facebook. Now I’ll try posting again on my own account, mainly to say that in haste and frustration I put in the word “probably” above which should be deleted. Of course the lantern was “current’ in 1912. This currency can easily be demonstrated in the titles of trade journals, such as “Kinematograph and Lantern Weekly” and (when it began) “Moving Picture World and View Photographer”. Later MPW dropped the “View” but incorporated “The Exhibit” in its title and continued to report on illustrated song slides. The currency of the lantern is also confirmed in many ads in MPW in the early teen years, when several slide producers and distributors were still active in the US — some were producing news slides. Certainly someone (Urbanora ideally) should look at this in greater detail. We need a history of screen news — though taking into account relations with other media. This screen news topic also suggests to me that the modern-day lantern societies and Domitor should work together more closely (actually I believe they should amalgamate, but some would think that too-radical a view). Stephen, you should’nt need to log in via WordPress, Facebook or whatever, though those are available as options. It should be enough simply to enter name and email address. So I don’t quite know what happened there. I know very little about lantern slides, so don’t feel equipped to launch into any major study, but I would like to know a little more about how they were used to relay news, as part of larger work I am doing on news media generally.